Planning for the year end school holiday? 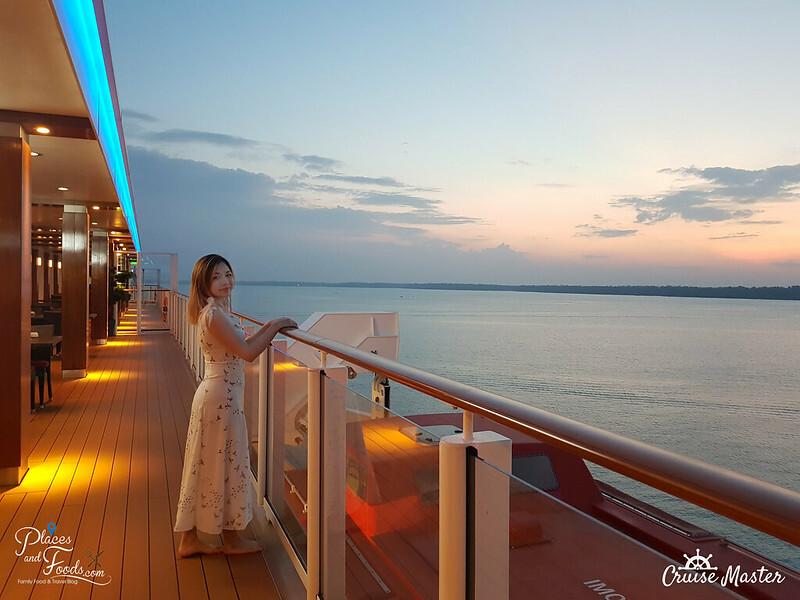 Maybe you can consider in spending your holiday on the brand new Genting Dream Cruise in Singapore. With collaboration with Cruise Master Malaysia (a subsidiary of Asia Cathay Travel Sdn Bhd), there will be special promotion for Genting Dream Cruise Packages on December 2018 and January 2019. There are two Genting Dream Packages and for our followers and readers, remember to inform them our promo code [PNF0100] for additional discount. Please contact Ms. Rachelle at 03-21425566 from Asia Cathay Travel Sdn Bhd for booking or find out more other packages information. *Free Transfer to Cruise Centre. The above fare excluded Cruise Port Charges & Gratuities Fees. All fees & packages to be finalised upon the booking is made. Please contact Ms. Rachelle at 03-21425566 from Asia Cathay Travel Sdn Bhd for booking or find out more other packages information. Top view of the swimming pool, spiral water slides and jacuzzis. 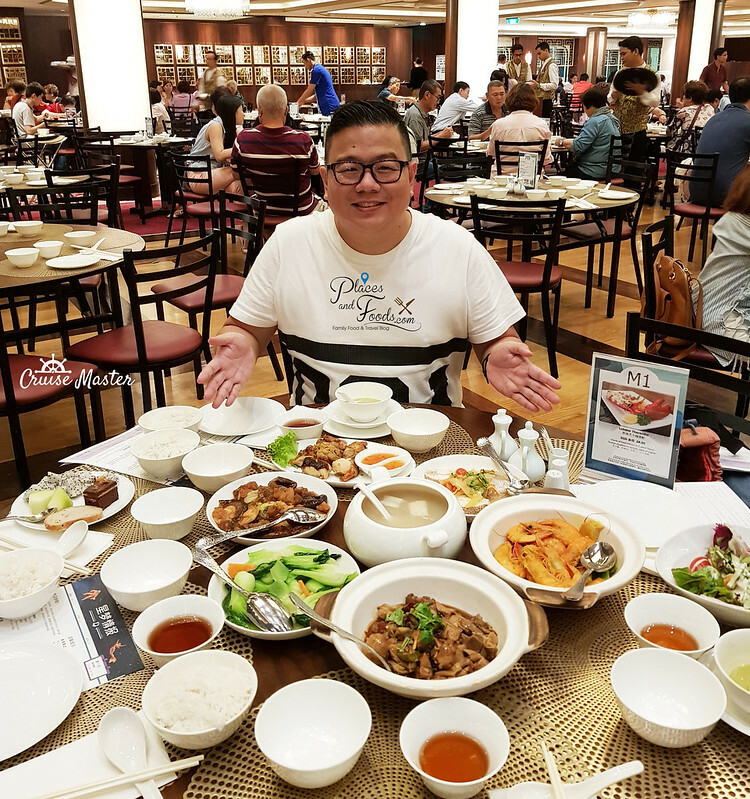 Last week, we went to experience the Genting Dream Cruise 2 Nights Package and it is not enough! We are planning to revisit the Genting Dream Cruise by end of the year. Sunset on Genting Dream Cruise. We know there are packages for Genting Dream Cruise for RM 568 for 2 nights but you won’t have enough time to enjoy all the facilities on board. Trust us, if you go for 2 nights cruise, you will be leaving disappointed. It is kinda ‘potong stim’ lar. For the Genting Dream Cruise Packages, you might be worry about the size of Interior Stateroom. Don’t worry, we took the video of the Interior Stateroom and it is huge especially the bathroom. The bed they used for this cruise is really good, similar quality with the luxury hotels. We had really good sleep on this cruise bed. If you have budget, you can upgrade to the Balcony Room. The balcony room is slightly bigger than the Interior Stateroom but you have the luxury to feel the breeze from the sea. Not forgetting, you can chill and relax and watch sunrise and sunset in your room. 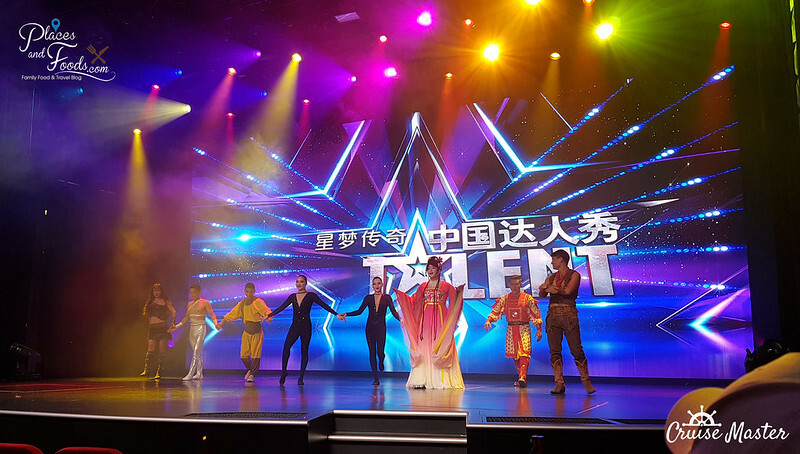 The Genting Dream Cruise is only two year old so it is a very new cruise. All the rooms comes with minimum 32” flat screen TV, universal power points, huge bathrooms with premium bathroom kits, comfortable bedding and drinkable water tap. There are three restaurants you can choose from on board for 5 meals a day! 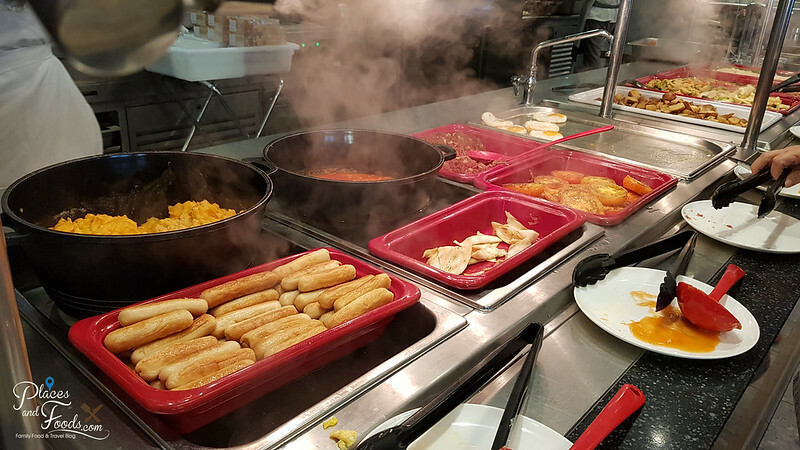 You can have breakfast, brunch, lunch, tea time and dinner. Supper is available too but it is chargeable. Supper dishes are from S$2 per dish. 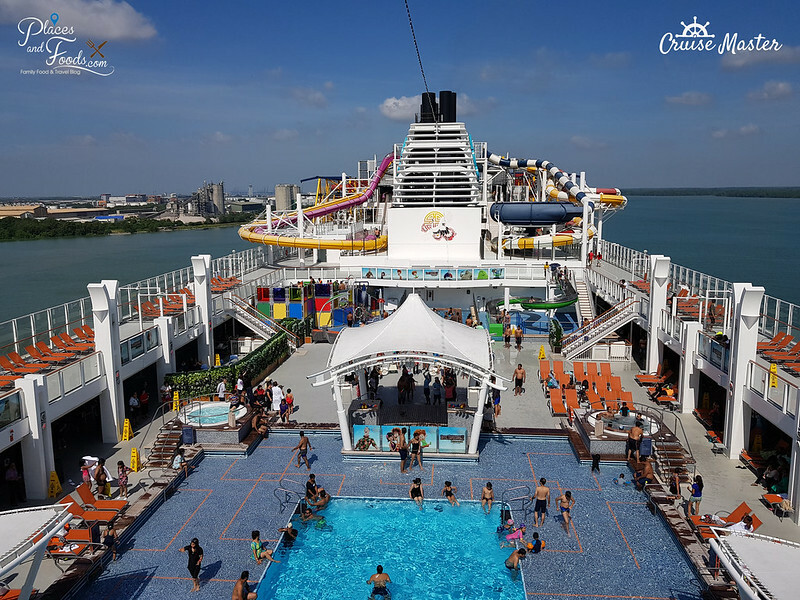 There are many fun activities you can participate on this cruise and they are table tennis, rock climbing, 5 spiral water slides (like the ones in waterparks! ), dance classes, jacuzzi, swimming pool, ropeway, zipline, Zouk At Sea dance club, daily night performances and more! These are free activities you can enjoy while you are on board so please don’t tell us that staying 2 nights are enough. 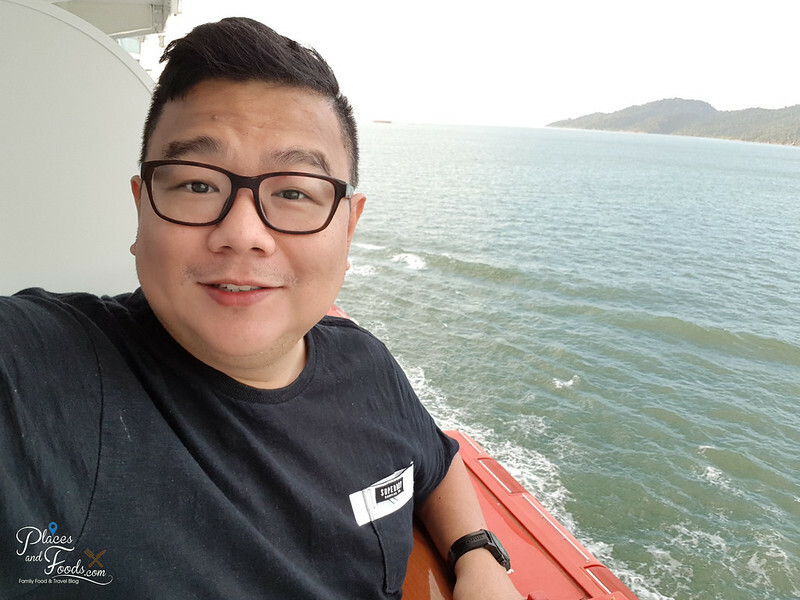 Overall, our two nights experience in Genting Dream Cruise is better than our expectation. The food overall is pretty good for cruise. We enjoyed the activities and I went on for the zipline too. For a huge guy like me can do it (I am shy of 100kg), we are pretty sure many people can enjoy the activities. The spiral water slides are so fun and we kept on doing it! Getting ready for Ropeway and Zipline! 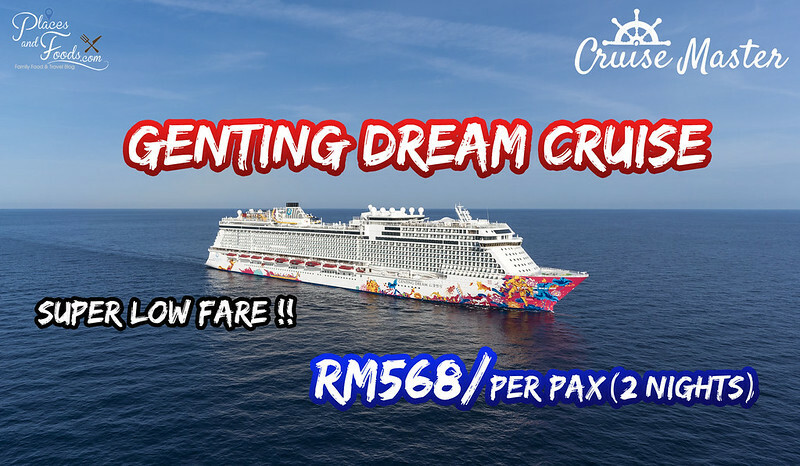 Take this opportunity to grab these Genting Dream Cruise Packages! As we mentioned in our Facebook Page Live video, there will be promo code for our beloved followers and readers for more discount. For more information on future promotions, please visit https://www.facebook.com/CruiseMasterMalaysia/ and remember to like and follow them. The view from the balcony state room. To know more about the packages, please contact Ms. Rachelle at 03-21425566 from Asia Cathay Travel Sdn Bhd for booking or find out more other packages information.